You have not one, but two new bundles of joy! Your twins are remarkable, and the twin birth announcements you send should be, too. Create personalized twin birth announcements and let everyone know about your extra special news. Choose two photos, select your colors and add a personal message to create a truly exceptional birth announcement. Twin birth announcements are 5.125 inches by 7 inches and come with A7 superfine ultra white with eggshell finish envelopes ready for you to address and send on their way. Pinhole Press twin birth announcements are sweet, simple and decidedly elegant. 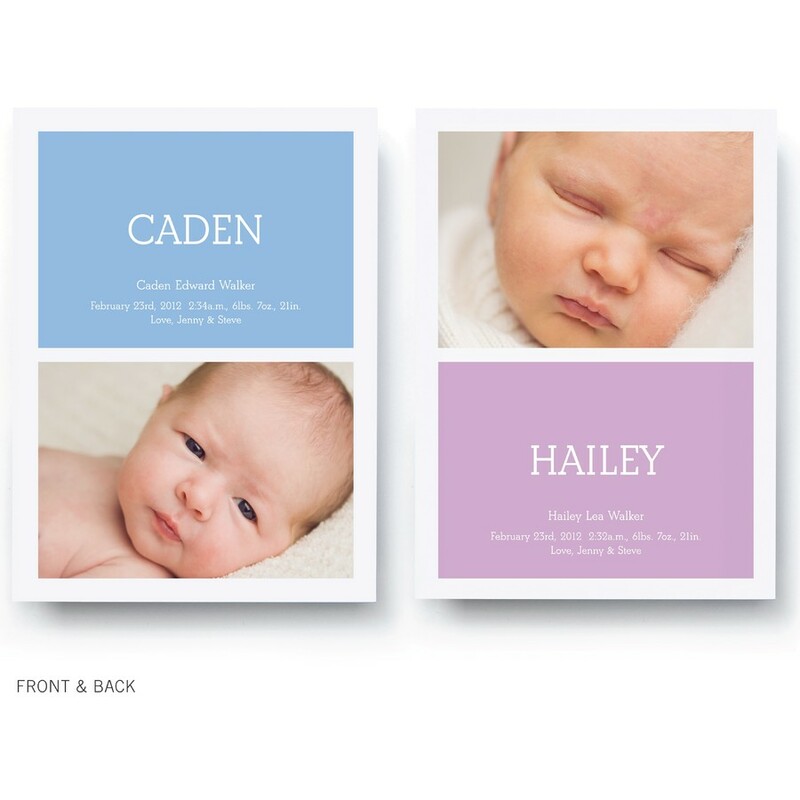 Our boy/girl twin birth announcements are printed on beautiful premium paper that makes your photos shine. Sending twin birth announcements with pictures of your new additions is the perfect way to share not one, but two pieces of good news. Choose two of your favorite photos, customize your colors, share your news and go - it's as simple as that.